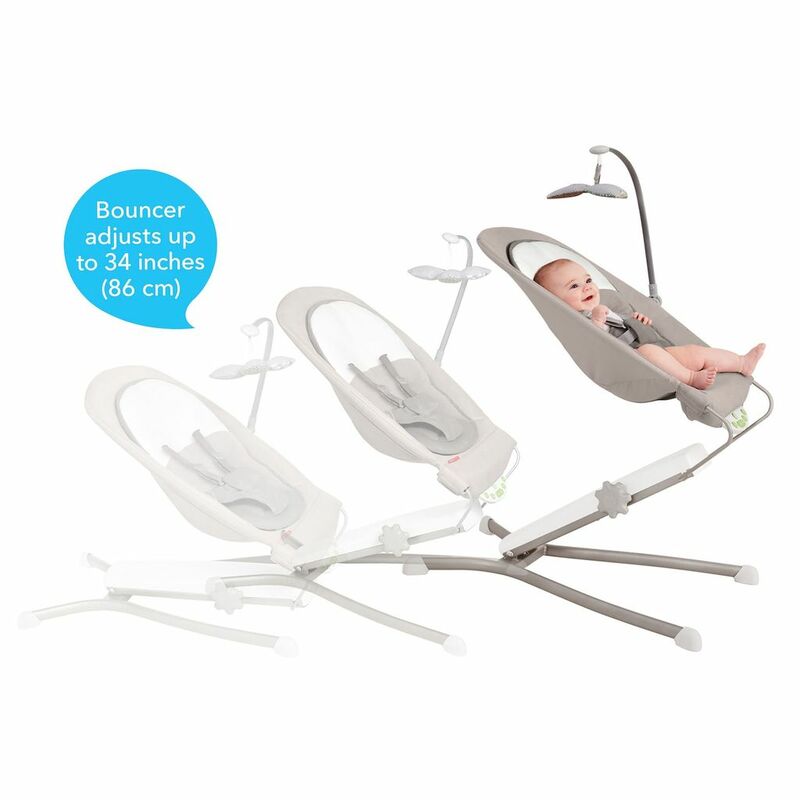 Designed to naturally integrate baby into family moments, the Uplift Multi-Level Baby Bouncer starts as a traditional floor bouncer and can be elevated to sofa height-or any level in between-with the turn of a knob. 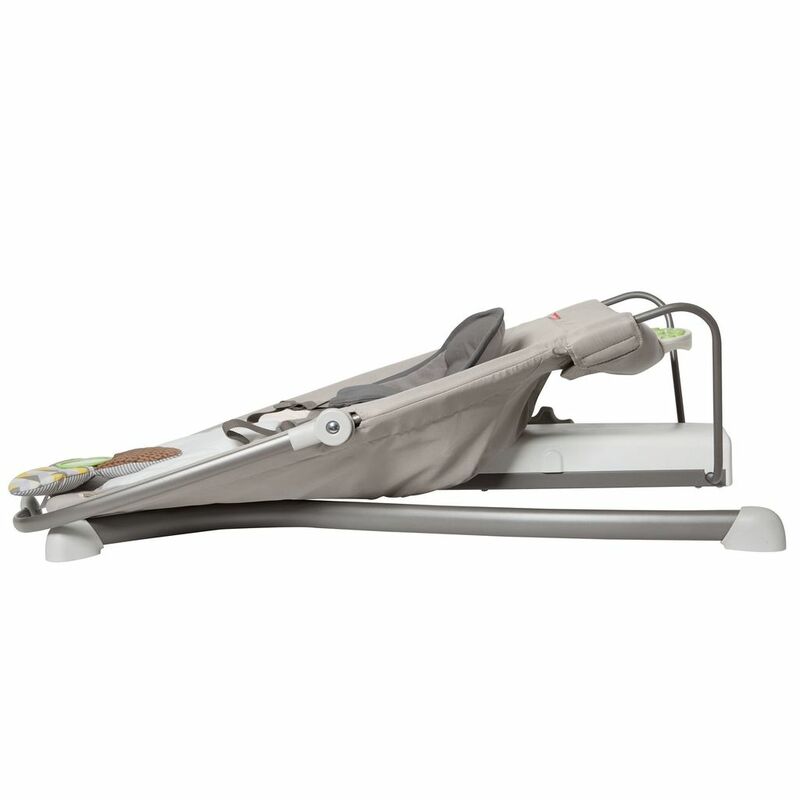 From the first family dinner to offering mom a quick moment to shower, the Uplift bouncer keeps baby in-sight, engaged and safely supported. 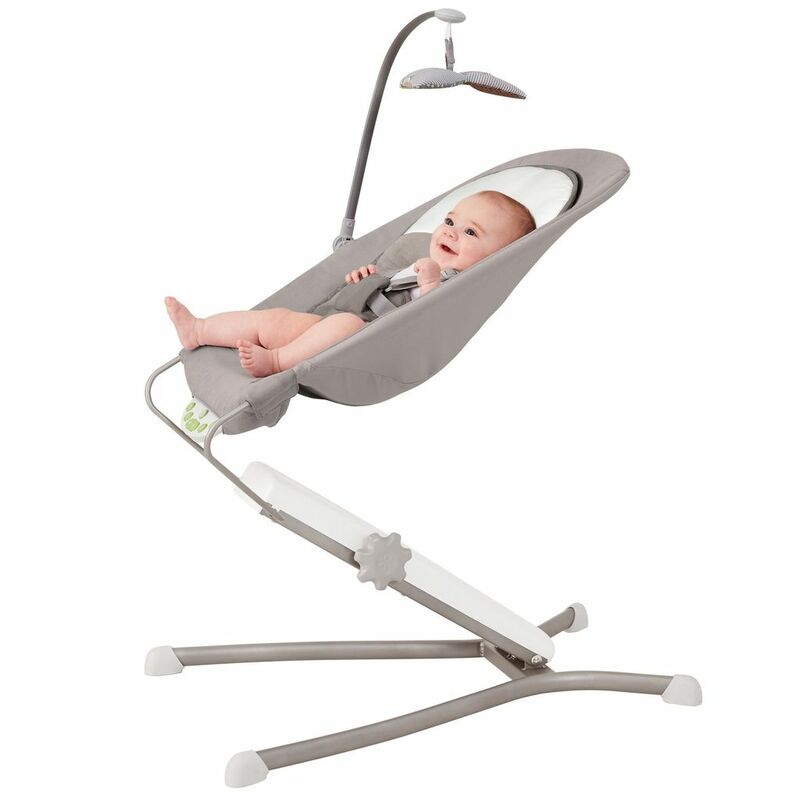 With a neutral color palette and beautifully streamlined look to fit into any contemporary home, it features vibration, sounds, and a range of other baby-friendly benefits. Auto-off feature after 20 mins. For babies up to 25 lbs.